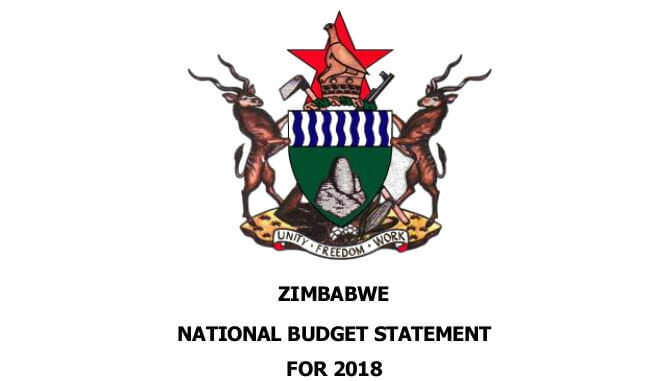 Making the 2018 National Budget Presentation on Thursday afternoon, Finance Minister Patrick Chinamasa submitted a Finance Bill amending the Indigenisation and Empowerment Act. The Bill to take effect from April 2018. We have been imploring the government to amend that Indegenisation Act if we are to attract investment into Zimbabwe. The effect of requiring foreigners to give up 51% ownership of their companies is that they lose control of those companies by giving up over half of the voting rights. Imagine pumping in millions into a company only to lose the power to make decisions that affect that company right from the onset. If the Zimbabweans who obtain the 51% decide to go in a direction the foreigner does not agree with it, there is nothing the he/she can do. Imagine a foreigner setting up a fuel company and having the Zimbos choosing to go into clothing. That’s an extreme example but considering the foreigner really did not have the luxury of choosing just which Zimbabweans to partner with it is not too far fetched. They would usually be conjoined to corrupt politicians who were the only ones who could buy the 51% stake. Accordingly, the proposed Amendments will confine the 51/49 Indigenisation threshold to only the two minerals, namely diamonds and platinum, in the extractive sector. The 51/49 threshold will not apply to the rest of the extractive sector, nor will it apply to the other sectors of the economy, which will be open to any investor regardless of nationality. The Reserved sector is only for Zimbabwean citizens, and for non-Zimbabweans, entry into the Reserved sector will only be by special dispensation granted by Government. As we seek to attract both local and foreign investments, existing and potential investors become fully guided by the Amendments we seek to effect through the Finance Bill that is being brought to this August House. There you have it. The investor chasing requirement that foreigners give up 51% ownership of their companies to Zimbabweans now only applies to those extracting diamonds and platinum. For all other businesses the requirement is to be lifted, from gold extractors to retailers. As you saw investors should be guided by the provisions of the Bill which means we can take it as a done deal. Let the investment flood in. I could be wrong but i think it has not yet been ammended but is to b ammended.only parliament can amend laws,so it is to be ammended by parliament and passed as an act. We do not need foreigners in gold and retail for sure. Zimbabwe cannot open to foreigners opening up tuckshops here & extract our gold, it just doesn’t make sense at all. This is the area we need to empower our own by capacitating the local players in these sectors. Diamond & platinum are multimillion dollar sectors out of the reach of ordinary Zimbabweans. And the only sectors reachable by our own people is definitely gold extraction & retail which through proper legislation the government should reserve these two sectors for locals. Government is to broke to empower its own people. They need FDI to get back up.. They were enabled. They may still invest but this time, they must follow the laws. No more corruption. Taxes must be paid. And they should deliver quality goods to us. Africa is not a dumping ground for crap. They must be told that. I believe they do have quality goods, the question is can the people affroad them? So why arnt zimbabweans doing this and makeing it work already ?? I agree with gold does not need foreign investors. All commercial farmed land should not be owned by foreign investors but leased for production use. 20 year contracts. This was long over due and I think April is too far why not January or February just fast track the processes please like you fast tracked Mugabe’s impeachment process. Competition is healthy for every sector it helps industries grow& transform but most importantly it’s the consumer who stands to benefit the most from quality optimally priced goods& services. (5) Cut civil servents and expenditure .. I concur. However particularly concerning (4), I doubt that’ll happen after the success of command agriculture. They’re still basking in the glory of the success, producing more maize than the white commercial farmers ever did before land reform. Also, concerning (2), there might be some ego attached. I believe the CZI and consumer and retailers councils have been asking for this for quite some time. Just hoping that new dispensation, new ideologies, smaller egos. Time will tell. Command is there been t the inputs are not being distributed properly,drips and draps,a farmer has to travel long distances and go home with only a couple of items or nothing.Check Mutoko officrs. Faulty logic – banning imports is a clear sign of shortcomings in local products, and only compounds the shortcomings be it in quality, production inefficiencies, or exorbitant pricing. This rather promotes rent seeking behavior like smuggling instead of promoting local manufacturing.